Perhaps the only thing more exciting than having a great collection of makeup is having a beautiful bag to put it in all in. Whether you're looking for something classic like Prada's Nylon Cosmetic Pouch or a fun Marc by Marc Jacobs printed pouch, we're sure you'll find a super cute and trendy pouch in our guide to makeup bags. 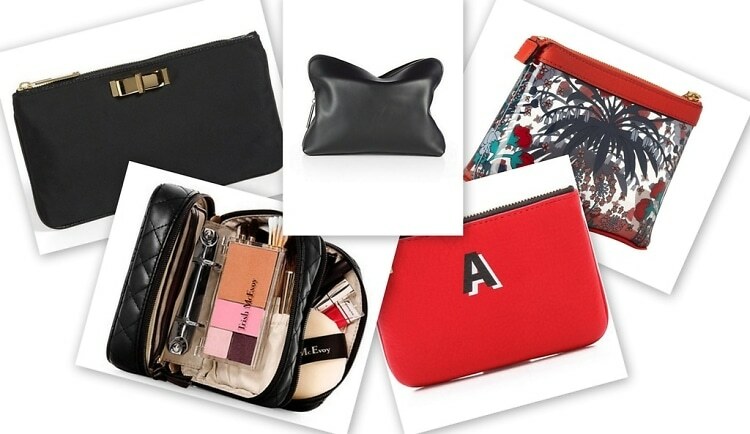 Boys, don't hesitate to click through, these bags make for a great V-day gift!